April to October daily at 9.00am. November to March Mon, Wed, Fri, Sat & Sun at 9.00am. Close Time: 25th Dec, 1st & 6th Jan. 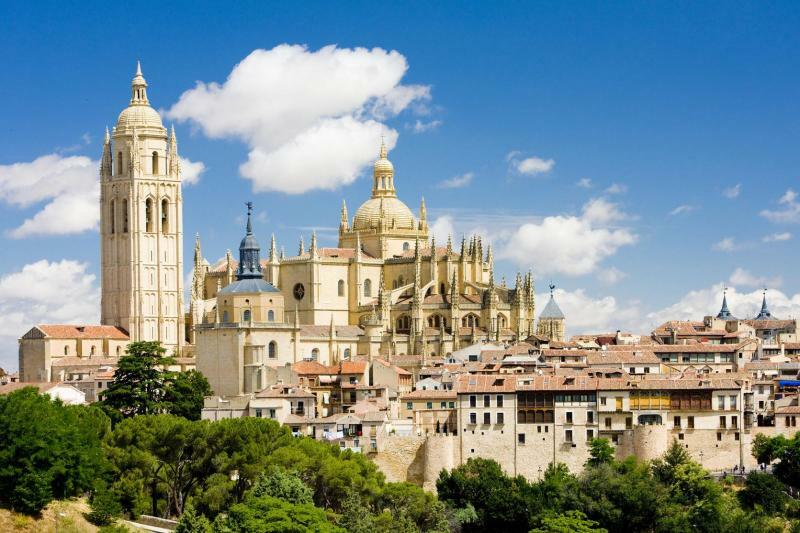 Enjoy a very entertaining day visiting Avila and Segovia, two cities rich in history.The first stop in your tour will be in Avila, a city that preserves the most ancient and complete fortified complex in Spain (XI century). You will visit the Convent and Museum of Teresa de Jesús, the Cathedral (the outside), the Plaza Mayor and the Basilica of San Vicente. At the end of the tour, you will go to Segovia, famous for its well-preserved roman aqueduct, which is 16 km long. Home of some of the kings of Castile, this city preserves one of the most important medieval group of buildings in Spain. Includes a drink –soft drink, beer, wine, still water, coffee- and a tapa of Spanish omelette. Lunch not included.